Rebuilt in 2015 to the highest standards. TOTAL A/C SF 5340 of 2 buildings. Multi use possibilities: two homes or home and office ($423.97A/C SF). Dock on I/CW, indoor pool. Main House features a volume ceiling living area with hand scraped hardwood flooring. Open kitchen boasts travertine flooring, Custom Kraft Maid Cabinets, Jenn Air appliances. All counters are granite. Out back is the indoor pool and spa opening to 1925 square feet of deck and 730 square feet of dock space. Two electric lifts and a concrete seawall are your gateway to fun on the intracoastal waterway. Back inside, an elevator takes you upstairs to the luxurious master suite with a 1050 square foot deck just outside viewing the I/CW. See more. . More...Rebuilt in 2015 to the highest standards. TOTAL A/C SF 5340 of 2 buildings. Multi use possibilities: two homes or home and office ($423.97A/C SF). Dock on I/CW, indoor pool. Main House features a volume ceiling living area with hand scraped hardwood flooring. Open kitchen boasts travertine flooring, Custom Kraft Maid Cabinets, Jenn Air appliances. All counters are granite. Out back is the indoor pool and spa opening to 1925 square feet of deck and 730 square feet of dock space. 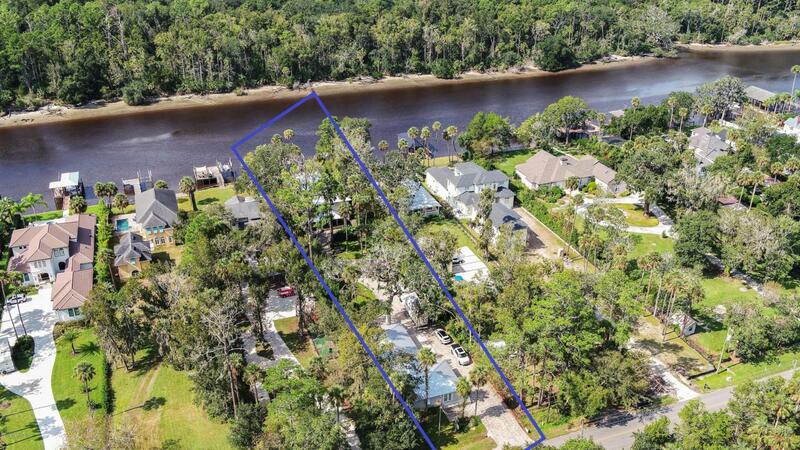 Two electric lifts and a concrete seawall are your gateway to fun on the intracoastal waterway. Back inside, an elevator takes you upstairs to the luxurious master suite with a 1050 square foot deck just outside viewing the I/CW. See more. . The Guest House/Office up front of the lot is ADA compliant, features a front/living room, two complete bathrooms and bedrooms/offices. Large eat in kitchen supplied with commercial grade Bosch appliances, custom Kraft Maid cabinets, wood flooring. Kitchen and baths feature Cambria Quartz countertops. All Pella windows with integrated blinds and roll screens. Two car garage has A/C possibility in case expansion is desired. Driveway and walkways all lined with brick pavers. Mature landscaping preserves the feel of old Florida. Convenient to the best schools in Florida, beaches, golf, restaurants and shopping. 35 miles to Jacksonville airport. Quality of life. . . That is What it is All About!